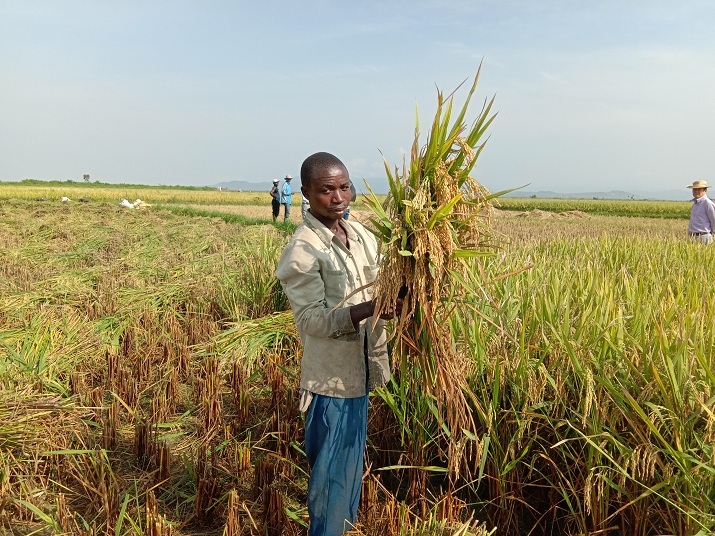 In the narrow Imbo Plain on the westernmost edge of Burundi, rice crops are prolific: Rice production has increased from just over 3 tons per hectare to more than 11 tons for the same cultivated area. Such increase in rice production has been so significant that Burundi has set a new record at the African level. But how is it possible for a crop to produce almost four times more yield on the exact same cultivated land area? Has there been a change in the way the crops are grown? Or maybe it is an unexpected positive consequence of climate change? The answer is none of the above. The secret behind this amazing phenomenon can be summarized in a single sentence: The increase in rice production is a direct benefit of the cooperation between China and African countries and of the Sino-Burundian bilateral partnership in particular. Indeed, within the framework of the fruitful Sino-Burundian cooperation, China is sharing its agricultural expertise, know-how and experience with its African partners. The country has sent a significant number of experts in different fields to Burundi to help lift its people out of poverty. As shown by the record crops, the positive impact of such partnership has been most remarkable in the field of rice cultivation and production, particularly in the towns of Bubanza Province. Almost two years ago, a delegation led by Séverin Bagorikunda, Permanent Secretary of the Burundian Ministry of Environment, Agriculture and Livestock, paid a visit to Gihanga Town in Bubanza Province in the western part of Burundi. The delegation was accompanied by a group of Chinese agricultural experts who came to Imbo Plain to conduct experiments on four varieties of rice: one variety of super rice and three hybrid varieties. Their experiments soon proved to be a complete success: Chinese technicians and researchers were able to develop a rice cultivation process that could significantly increase rice production, without the need to expand cultivated areas. Thanks to the technical assistance and expertise of the Chinese experts, the rice harvest in Imbo Plain, where the experiments were carried out, has multiplied by more than three-fold. According to official statistics provided by the Chinese Embassy in Burundi, over an area of 1 hectare, current rice production amounts to around 11-13.8 tons, whereas previously local rice harvest did not exceed 3.75 tons over the same cultivated area. "There is no doubt that the current increase in rice production will have a significant positive impact on food security and development in other areas of the country," said Li Changlin, Chinese Ambassador to Burundi, who also added that this new harvest broke the previous record for rice production per hectare on the African continent. The Chinese mission's experimental project jointly launched in 2017 by China's Ministry of Agriculture and Rural Affairs and the Burundian Ministry of Environment, Agriculture and Livestock, under the guidance of the Imbo Plain Regional Development Enterprise (known by its French acronym SRDI), has generated strong interest among Burundian citizens. Attracted by such a bumper harvest, everyone wants to know the secret behind this new record-breaking variety of rice, which transforms previously desolated landscapes into splendid sceneries of green fields and abundant crop plants. Now, local rice farmers in Imbo Plain, who farm independently as members of an association or a cooperative, are looking to get their hands on these new hybrid rice seeds at all costs and to learn the best way to grow and benefit from them. Thanks to Chinese expertise, the people of Gihanga Town have started looking at rice farming as a lucrative option because of the benefits it now brings to thousands of households in their region. 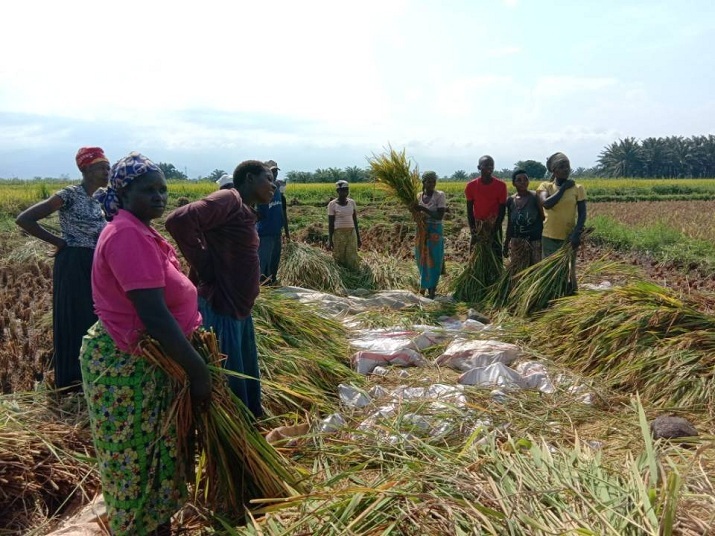 "I have been farming rice for more than 15 years, but I was really surprised when I saw this new variety of rice crop, because it is completely different from the one we used to grow here in our town," said Habonimana Balthazar, who is both a teacher and a rice farmer. Sinzumusi Edouard is the head of a group of six farming cooperatives known as Umuco w'Abarimyi (which can be translated as "the light of the farmers"). His cooperatives include 4,000 members who rely on rice cultivation for their daily livelihoods. According to him, 108 members of his group have already received training related to this new Chinese rice crop. "Members of our cooperatives greatly appreciate this new variety of rice. In the near future, we will be able to produce enough rice to feed millions and millions of consumers," he added. SRDI Director and Agricultural Engineer Térence Nobus Butoyi told ChinAfrica that cooperation between Burundi and China has had a significant and positive impact on the increase of rice production in the country. He explained that even before starting the hybrid rice experimental project, four SRDI agricultural engineers were invited to visit China to attend training sessions and thus improve their knowledge of rice production. Insiders noted that such agricultural assistance initiatives set up by the Chinese Government can motivate African countries in general and Burundi in particular, to redouble their efforts in their fight against poverty. This will improve the living conditions of their impoverished rural populations, said Butoyi. At the Opening Ceremony of the China-Africa High-Level Dialogue and Think Tank Forum, which was held in the Ethiopian capital Addis Ababa on June 21-22, 2017, under the theme of Fighting Against Poverty for Common Prosperity, China's Foreign Minister Wang Yi said that China, with its strong and rich experience, was fully prepared to continue to share with Africa its expertise in development and poverty alleviation.